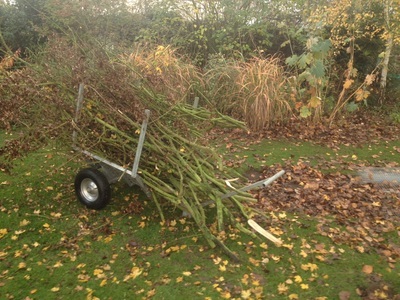 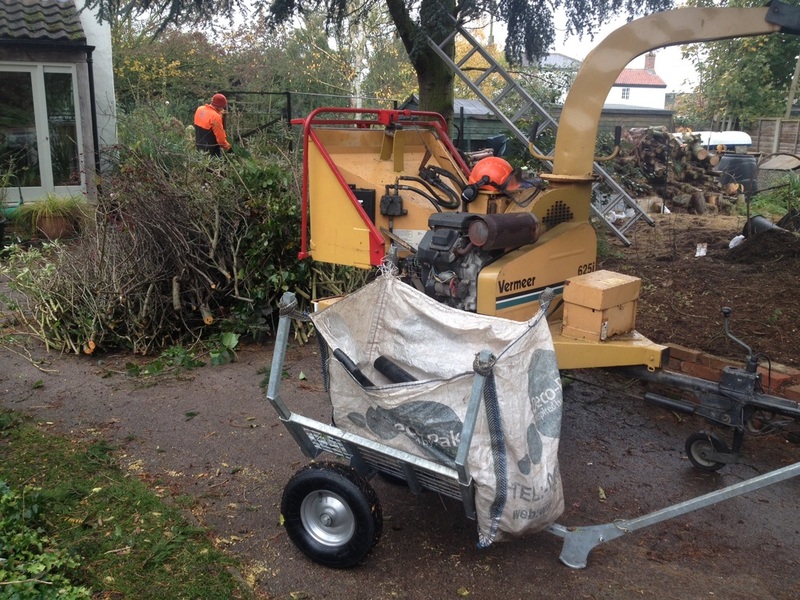 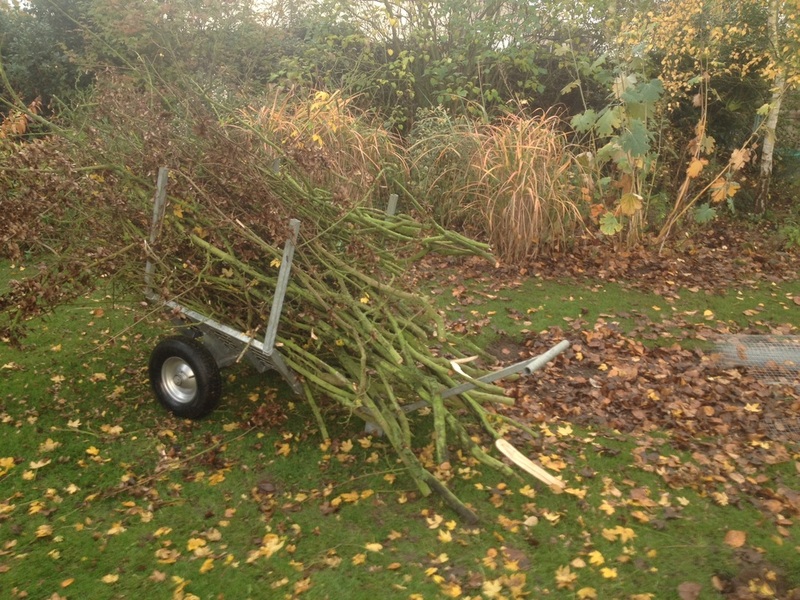 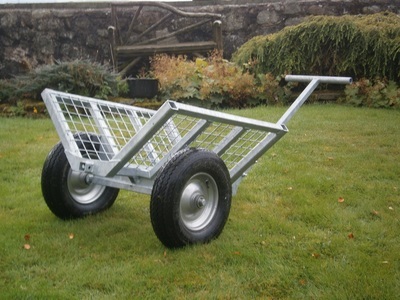 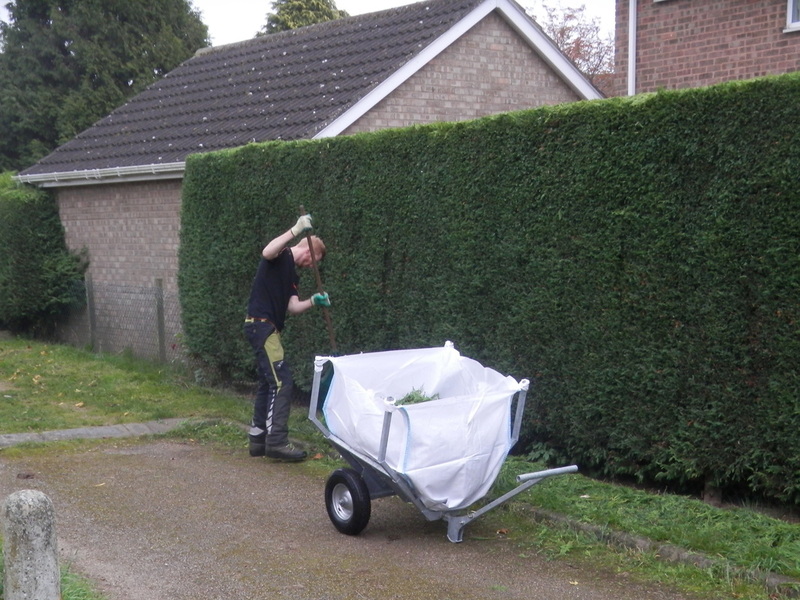 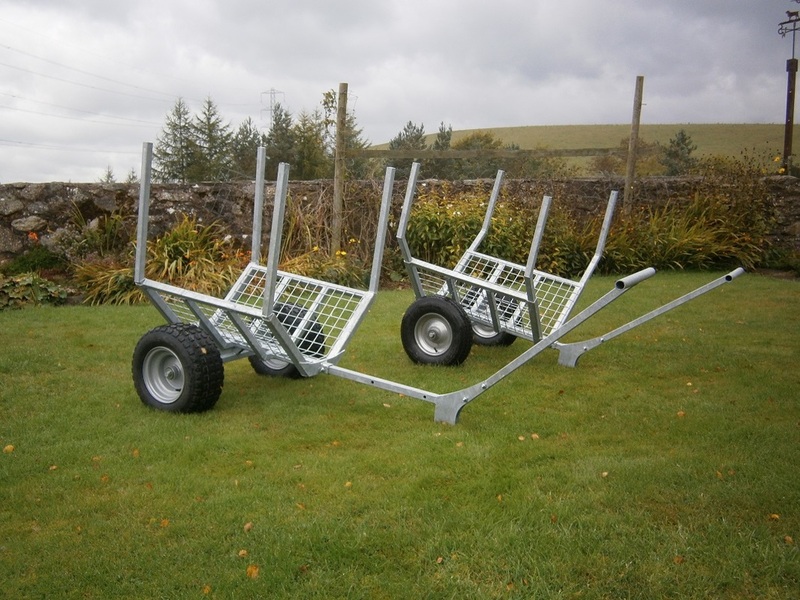 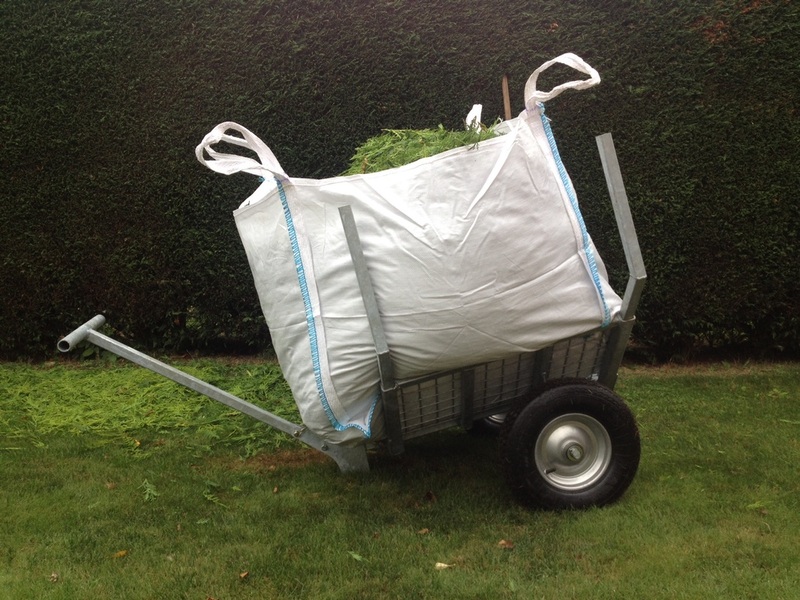 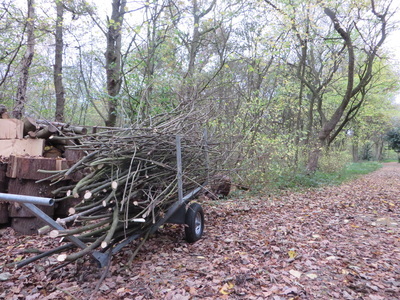 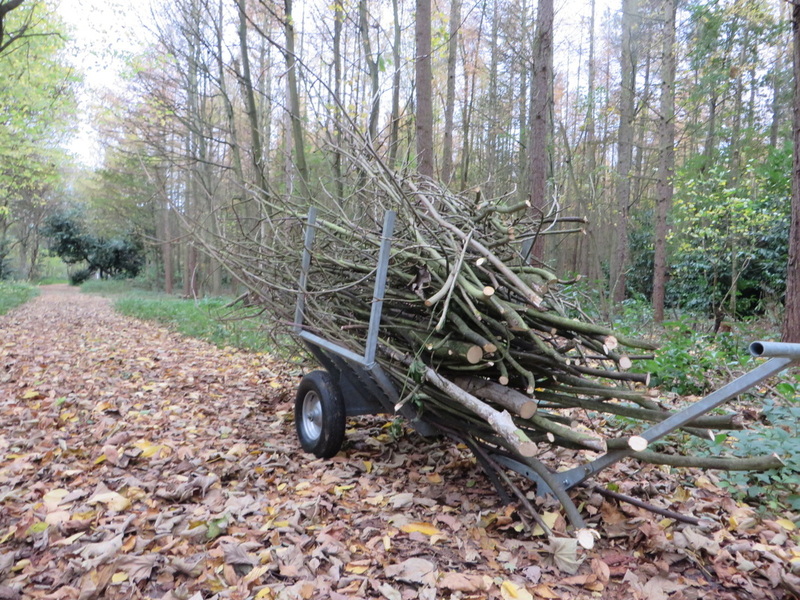 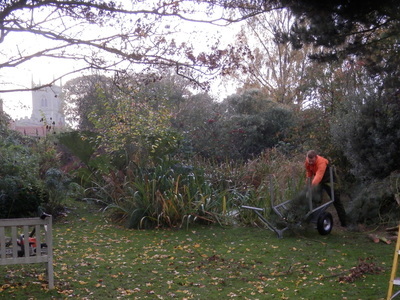 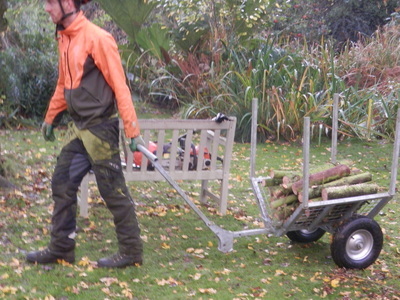 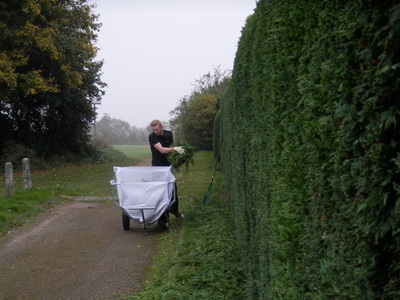 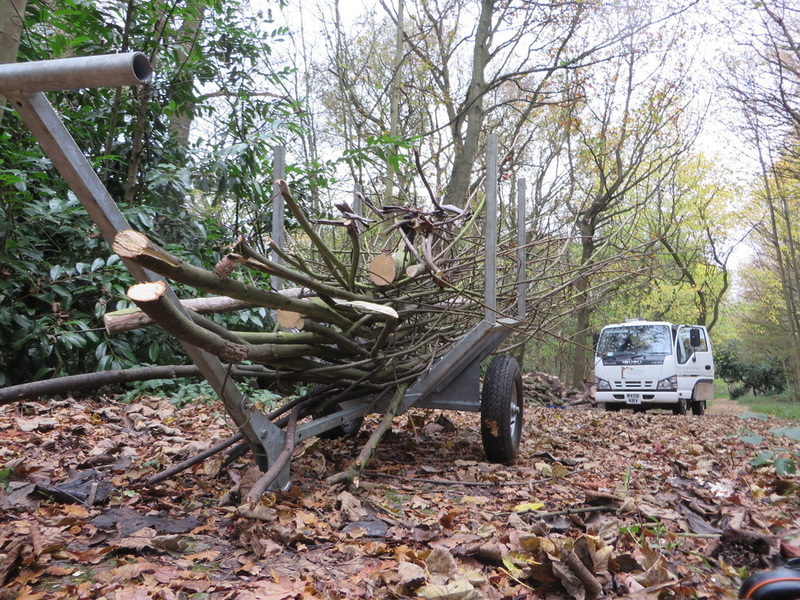 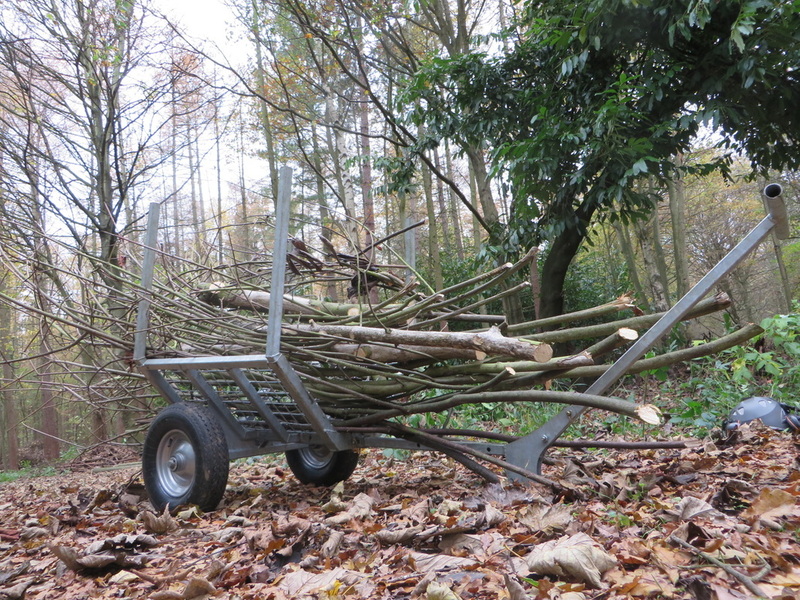 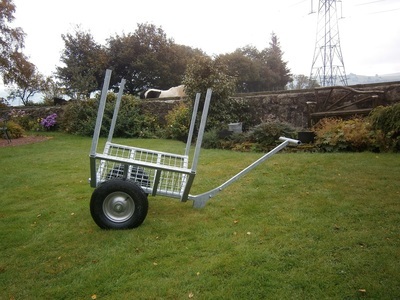 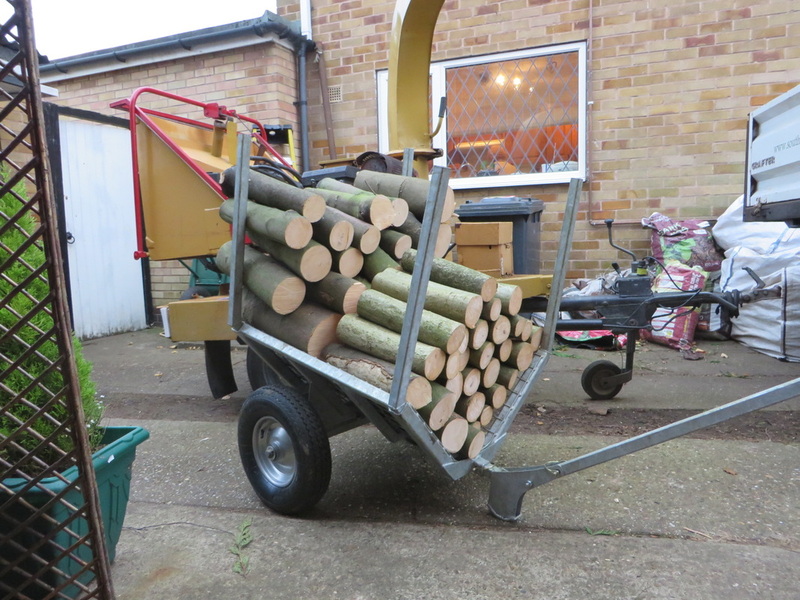 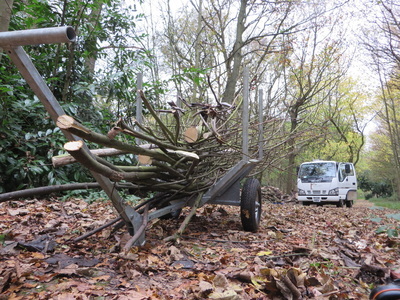 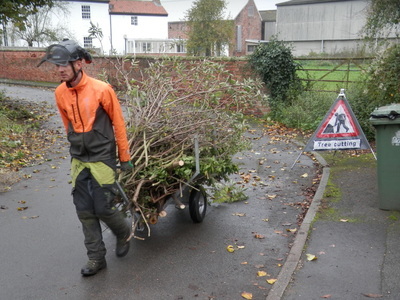 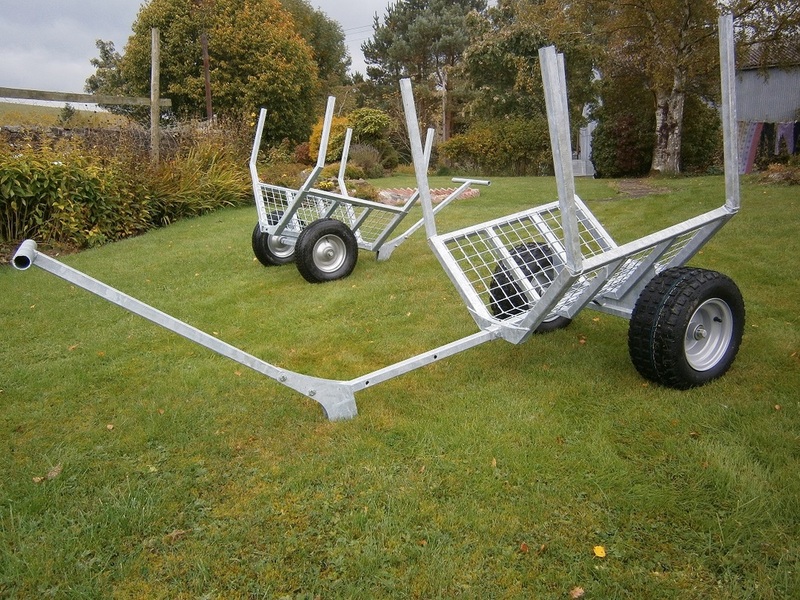 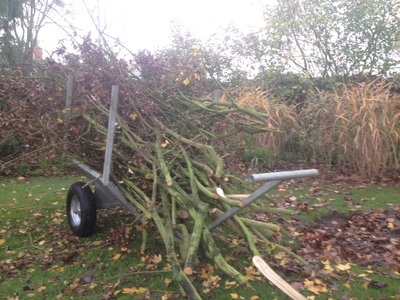 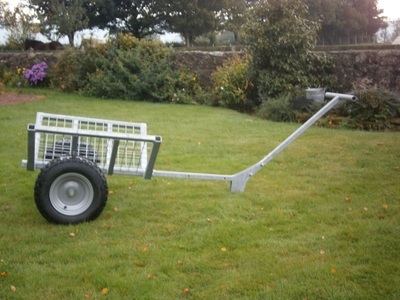 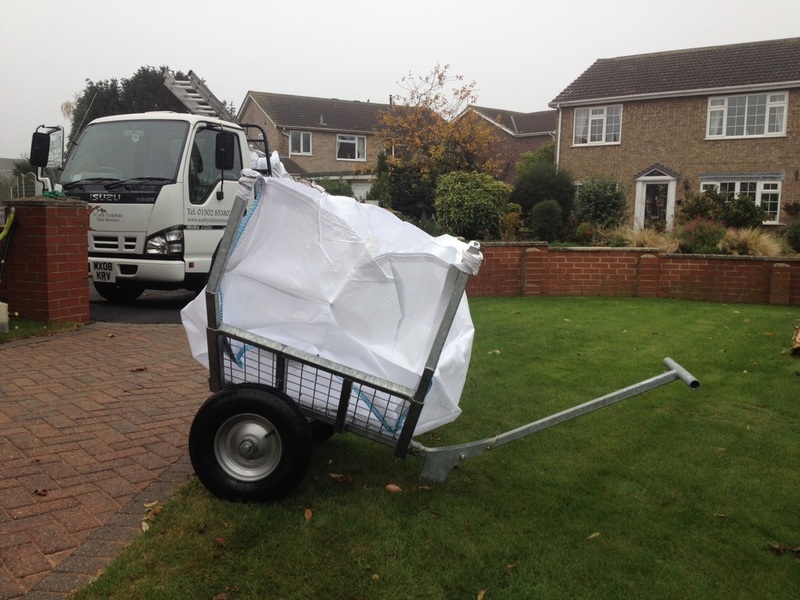 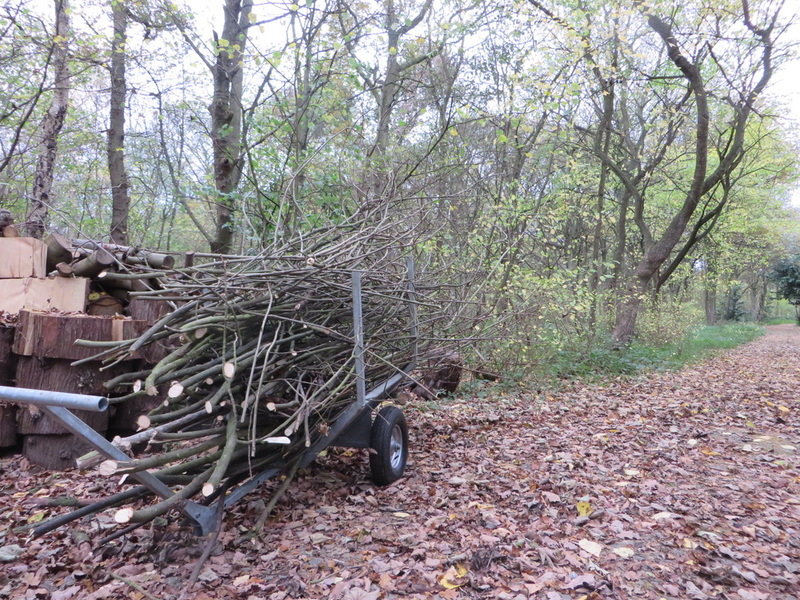 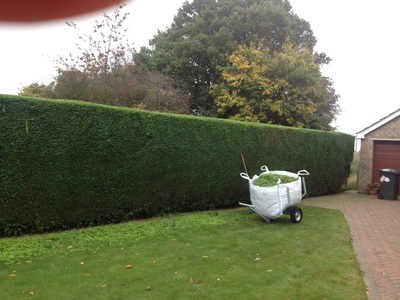 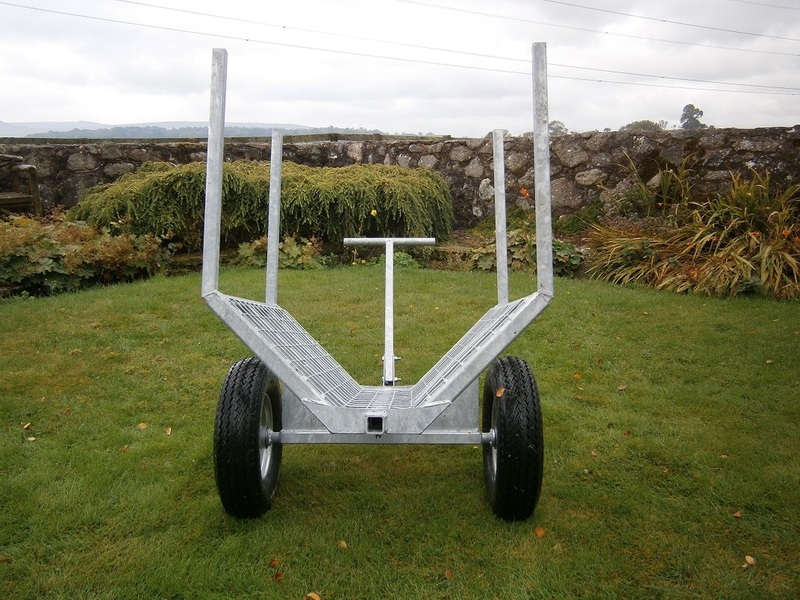 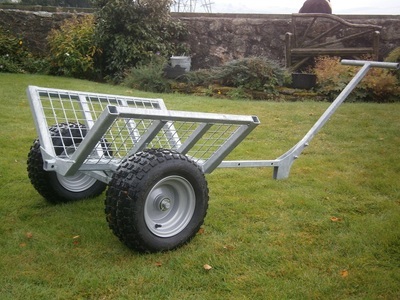 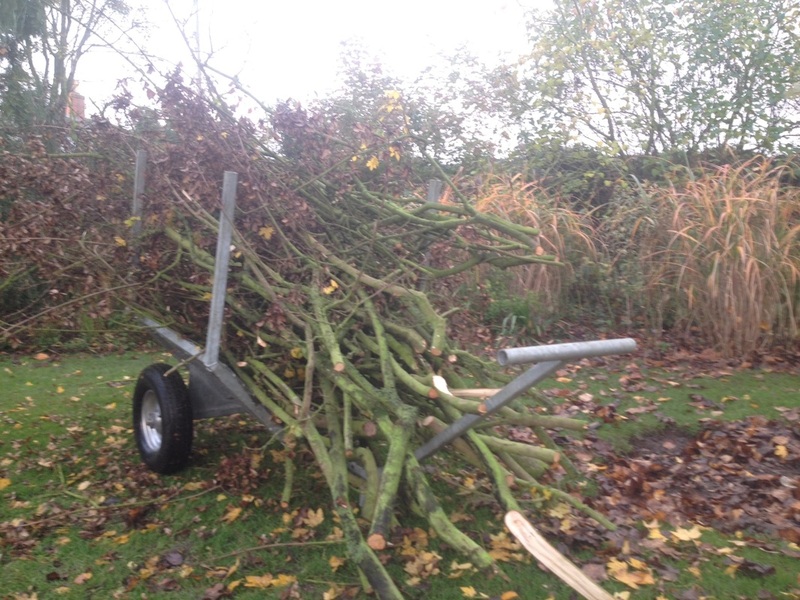 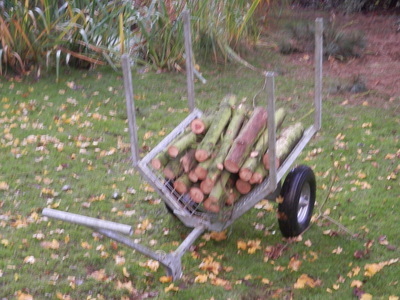 Our Brash Cart is available with either wide or narrow wheels. 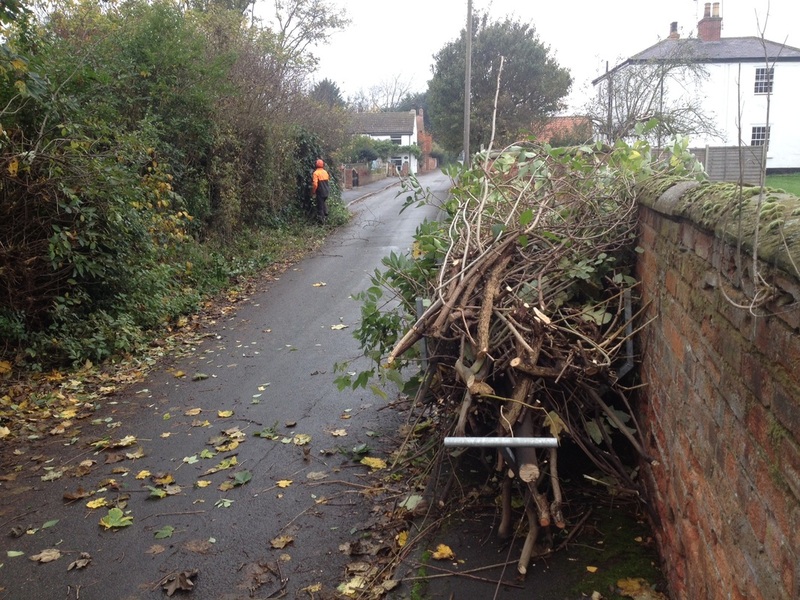 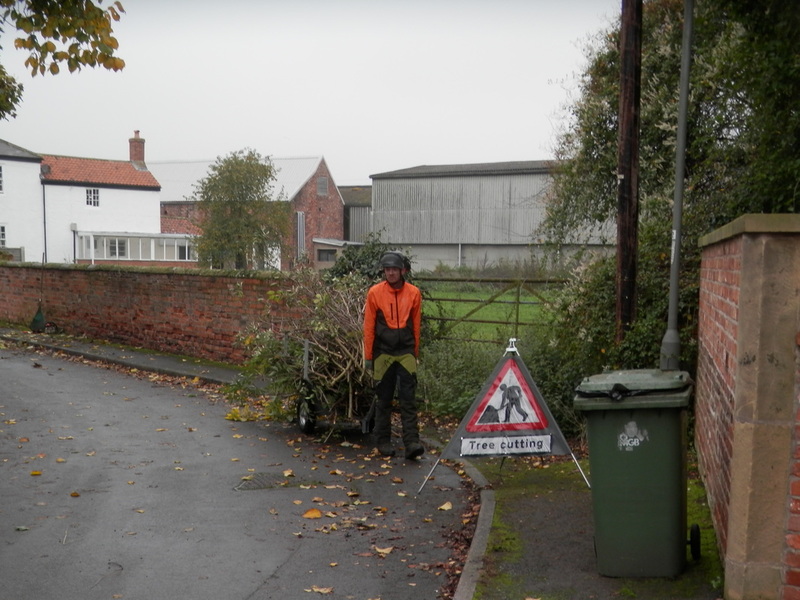 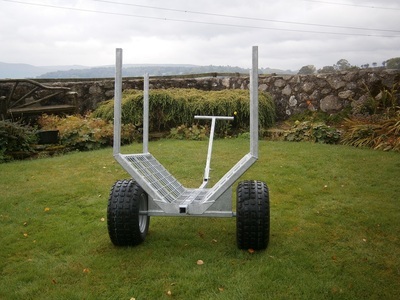 If you do a lot of very tight access jobs, then the narrow access cart is great as it is just 750mm wide meaning it will fit through the tightest of gates. 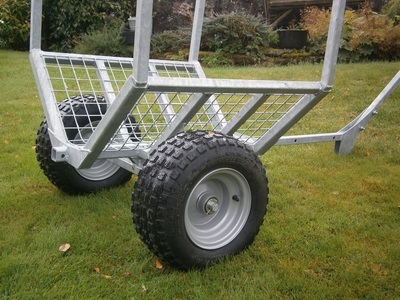 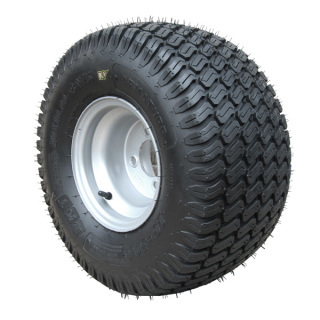 The wide wheel version is still only 920mm wide, but utilises a 6.5" wide wheel which carries the weight a lot nicer, especially over wet or rough terrain. 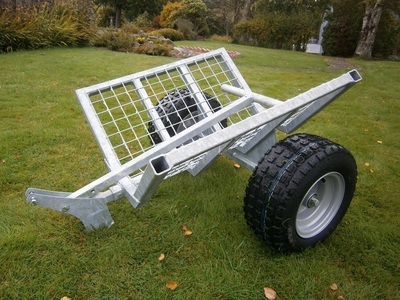 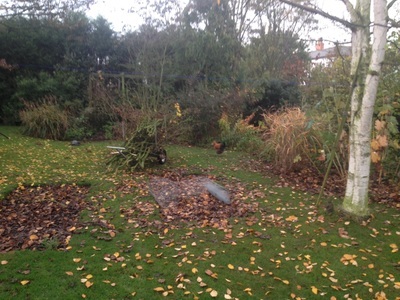 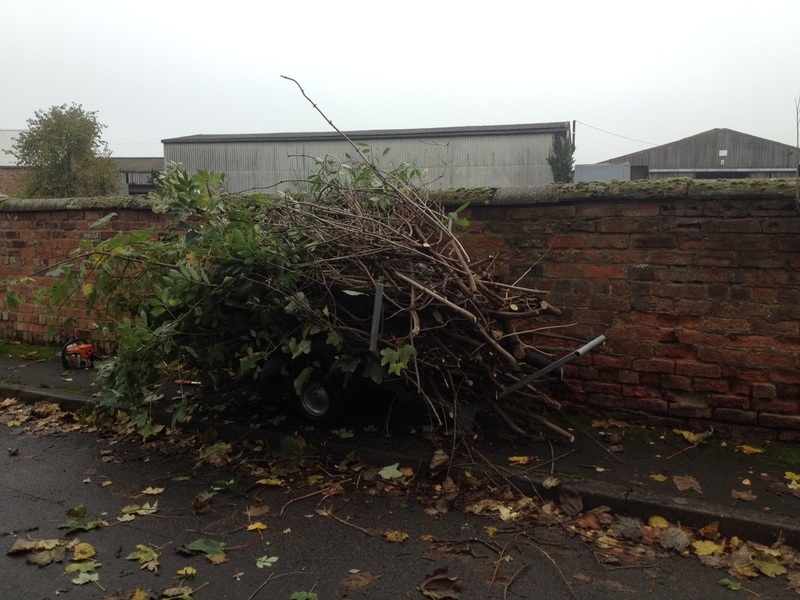 The timber bolsters have two positions, wide and narrow. 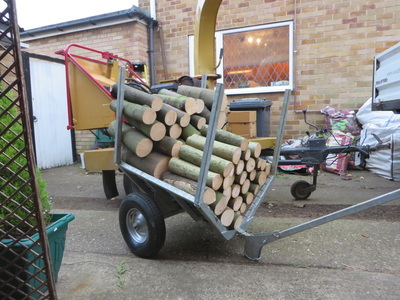 This is great where you do a job where access is not tight as you will vertually double the capacity of the cart by simply swapping them round.  The handle folds up by removing just one pin, and adjusts in and out with 3 positions. 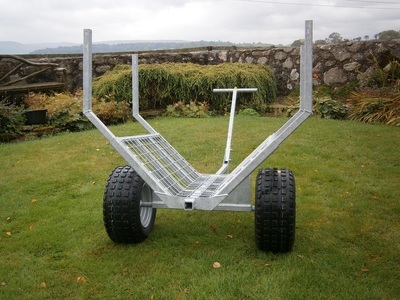 This is useful for tight access jobs where you can shorten the drawbar, and also it is ideal for packing the cart up at the end of the job. 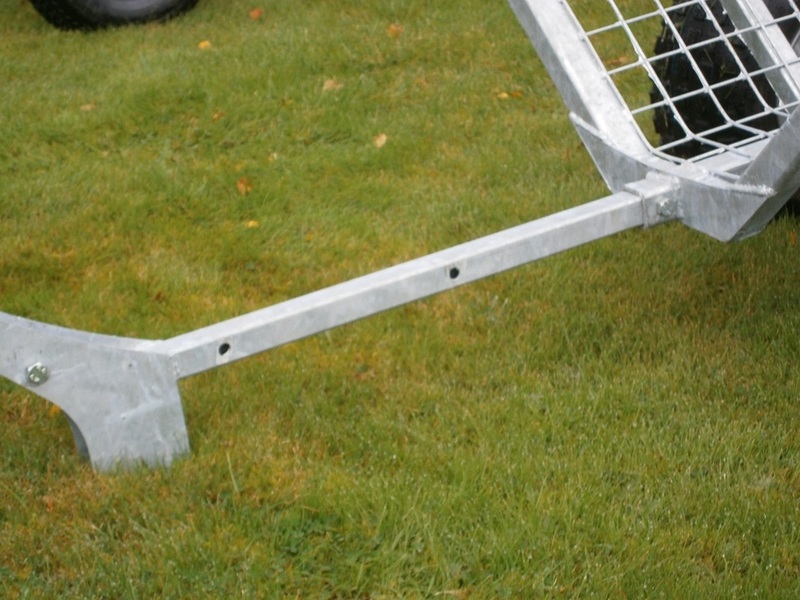 The handle also has a built in stand which has a curved bottom. 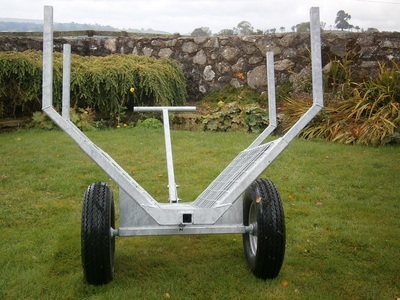 This means if you catch it on something whilst pulling, it should hopefully skid over the top. When it is in its work position, the handle is angled at 45 degrees which means that you wont be banging your shins on it the whole time ! 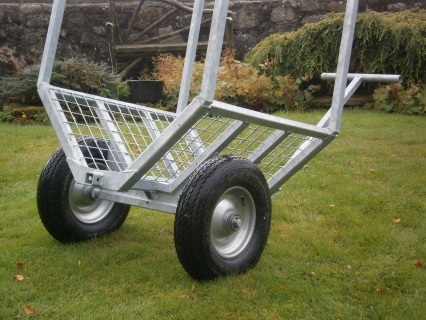 The body itself is very sturdy, it is mesh lined meaning that you can carry your tools, and loose material wont get snagged up in the wheels. 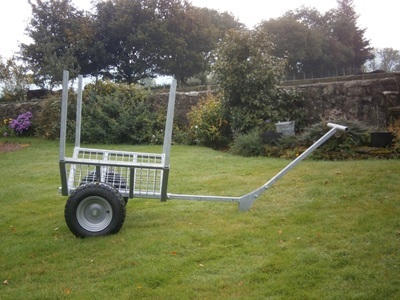 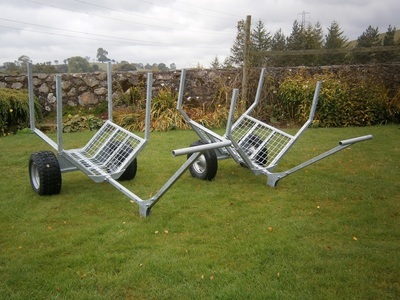 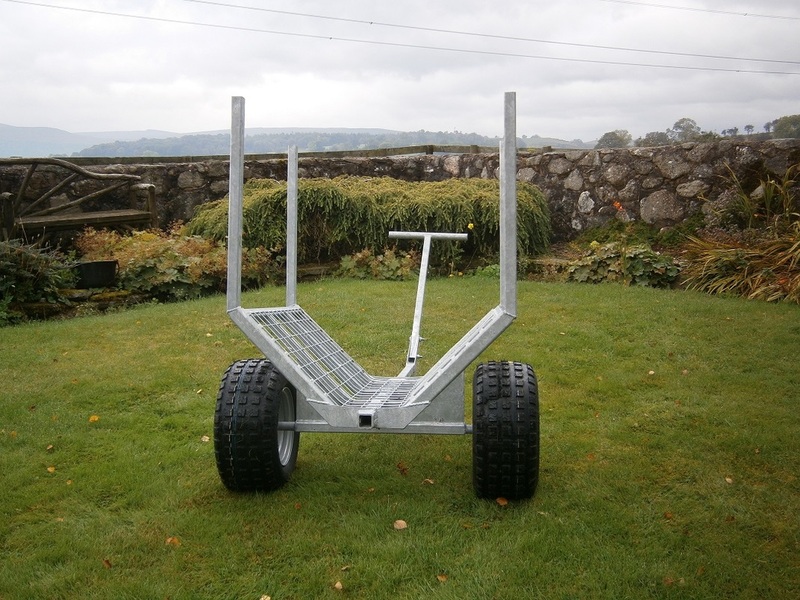 We can make a drawbar attachment with standard 50mm coupling so that you can tow it behind your quad bike. 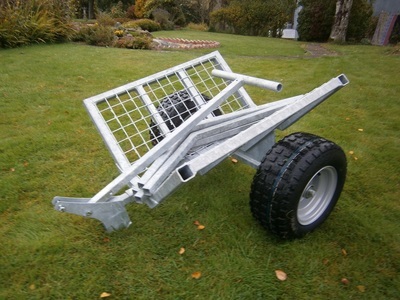 We can also make mesh sides which slip over the timber bolsters. 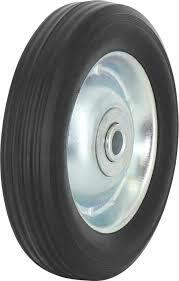 If you need anything else, just ask, anything is possible !